A place with space! Enjoy a prized setting perfectly positioned for an effortless lifestyle. An airy, light-filled living room, kitchen and dining room in which to relax and entertain. The well-designed outdoor space flows from the inside out. Separate living spaces for kids and adults which offers sizable bedrooms. Master bedroom is located on the main floor. Newer water heater, refrigerator & dishwasher. Built-in surround sound in the living room and back porch. Great for entertaining! This home is designed with energy-efficiency in mind with solar panels. The best part is knowing you have free energy! Your electric bill can be as low as $9/month!!!! Vivint security system (doorbell with camera, automatic locking doors with keyless entry and remote garage). Come see this beautiful piece of art! This custom single level scott patrick masterpiece was built with craftsmanship & quality, attention to detail, finest materials, integrity and the scott patrick reputation. 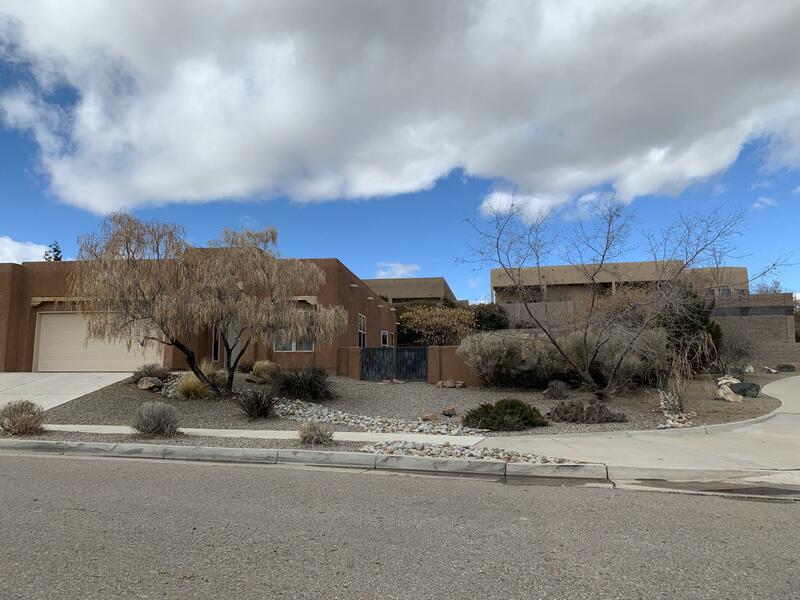 This 4 bedroom, 3 bath home nestled close to the petroglyphs monument with plenty of trails to enjoy. This open floor plan is great for entertainment with a huge cozy living area that opens up to your dream kitchen. You will never run out of counter space with beautiful corian countertops and a huge island. All this with oversized windows and beautiful tray ceilings throughout including skylights to enjoy the natural light. 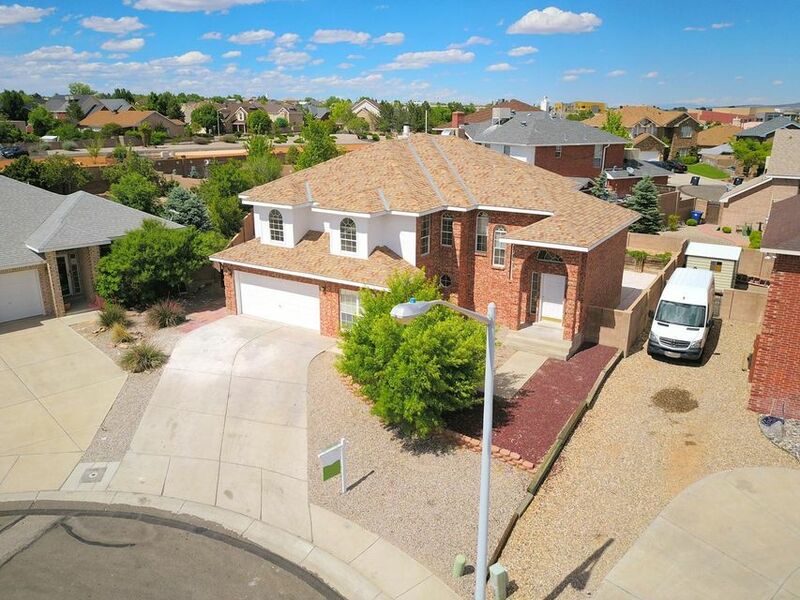 This turnkey home has it all! A new tpo roof(2months), new stucco and new refrigerated ac. Low maintenance backyard with turf, come see it before its gone!!!! Open house saturday, may 19th from 2-4pm. Five-bedroom beautiful brick oppel jenkins home located on a premium lot in a private cul-de-sac. Fifth bedroom is located on main floor with a 3/4 bath - perfect for mother-in-law, guests or office. Two living areas and formal dining room. Open floor plan with bar in kitchen opening to large family room with new laminate floors and gas-log fireplace. Walk onto the upper deck from the huge master suite to enjoy stunning mountain views. Master bath boasts double vanity, garden tub and two walk-in closets! Large bedrooms with floor-to-ceiling windows. New carpet, flooring, fireplace, microwave. Fixtures and paint in 2017. Newer evaporative coolers and roof replaced in 2009. 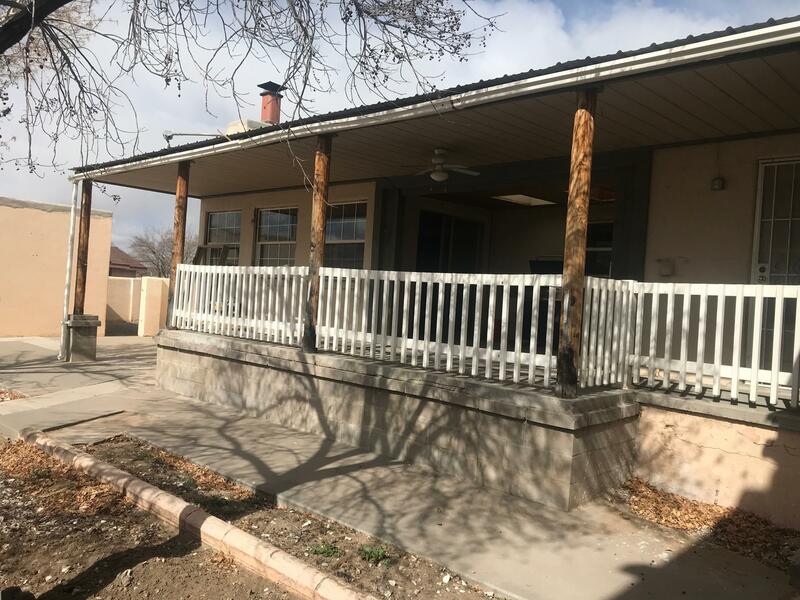 Great property on a corner lot with many upgrades, full backyard access, spacious two car detached garage, all new appliances in kitchen with granite counter tops, lots of cabinets. This 4 bedroom home has 3 bathrooms and 2 living areas. It could easily be a 5 bedroom home. 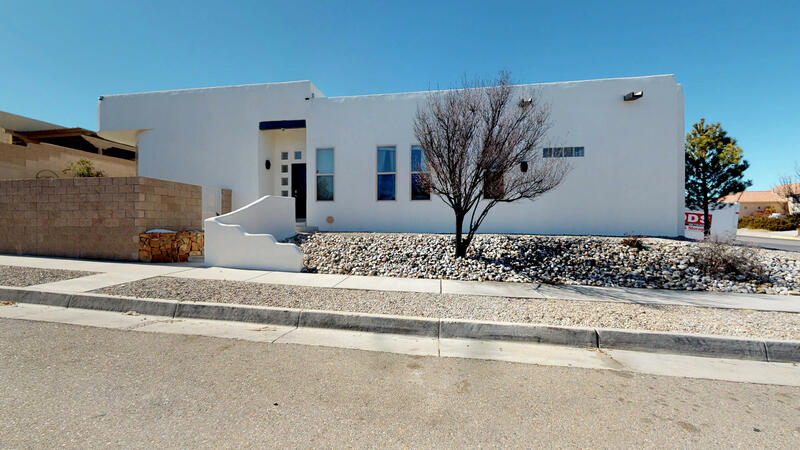 House is centrally located with easy access to i-40. Near shopping centers and parks. Circular driveway is a plus. What a beautiful home situated in a quiet cul-de- sac. 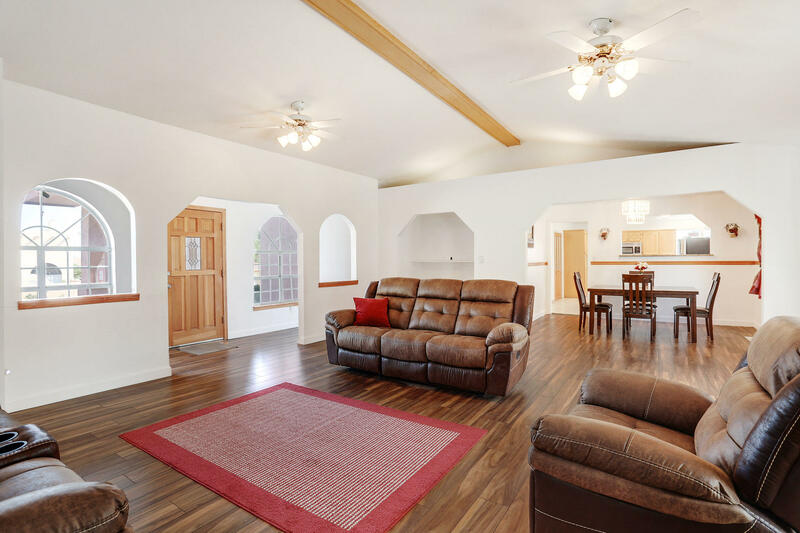 Walk into a grand formal area with 2 story ceilings, formal dining and living room! Light and bright open kitchen and den with a custom wood burning fireplace. Bedroom with a 3/4 bath on the main level! Upper level includes master suite and 2 additional bedrooms. Lawn grass in front and back! Backyard is private with a covered patio. Great location in the heart of taylor ranch! No hoa or pid! Water softener conveys! New price! This could be your next new home! 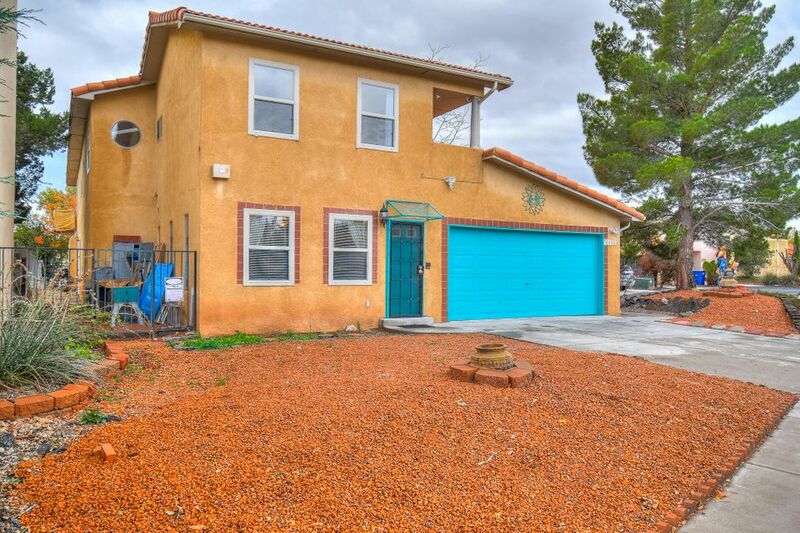 Check out this spotless, single-story, 4/br, 2/ba, 3/ag on a large corner lot with byap. Move-in ready w/fresh paint and new carpet. Natural wood accents throughout the home. Formal living and dining plus large, open den w/fireplace and breakfast nook. Wired for surround sound in den and master bedroom. Beautiful -professional landscaping front & back feature terracing, planters and walking paths. New hvac system installed last year (2018) don't wait for new! Check this one out today! Must see! 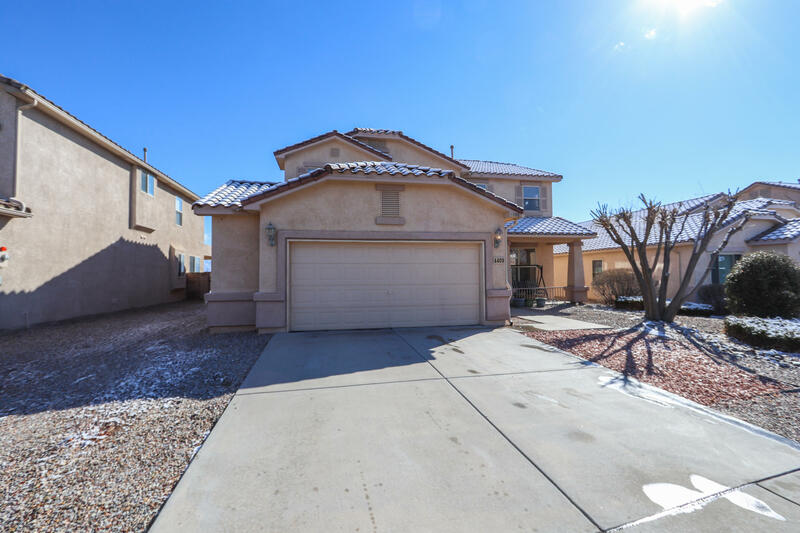 !beautiful, light, bright and open, well appointed dr horton, in highly sought after, nw albuquerque community. Newer ss appliances. 2 large living area's! Awesome loft with balcony overlooking the bosque and sandias. Formal dr and breakfast nook too! 1 bedroom and study downstairs. Master bath has 2 sinks, garden tub, and a separate shower. The low maintenance backyard has synthetic turf and a water feature. Super convenient area. Very close to shopping, freeways, restaurants, schools, (walking distance to st. Pius,) etc. Oversized garage. Refrigerated air. Newer hot water heater. This home will not last long. Set your viewing appointment today!! 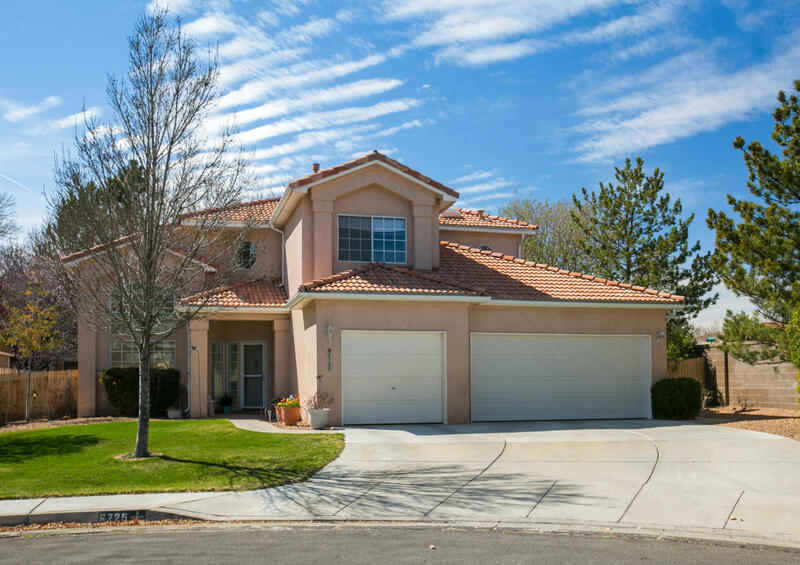 Meticulously maintained one-owner home on a cul de sac with mountain views! Open floor plan makes entertaining family & friends a breeze. Huge kitchen features lots of counter & cabinet space, updated stainless appliances, granite counters, island and breakfast bar. Spacious loft adds flex space for a 2nd living area, office or ??? Owners suite features a large walk-in closet and remodeled bath with custom travertine tile work & roman tub. The 3. 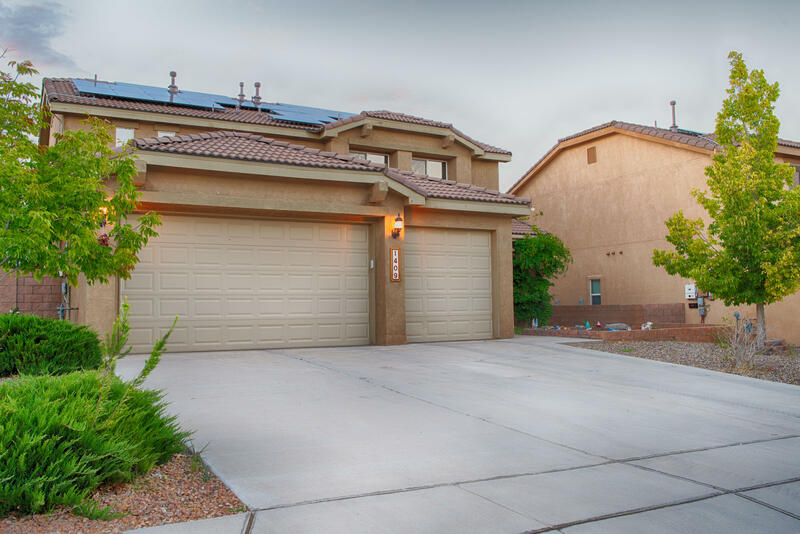 7kw photovoltaic solar system is owned, not leased, & is transferable. Extended patio offers plenty of room for enjoying the outdoors. There's extra parking space for additional vehicles or big toys plus backyard access. Refrigerated air! 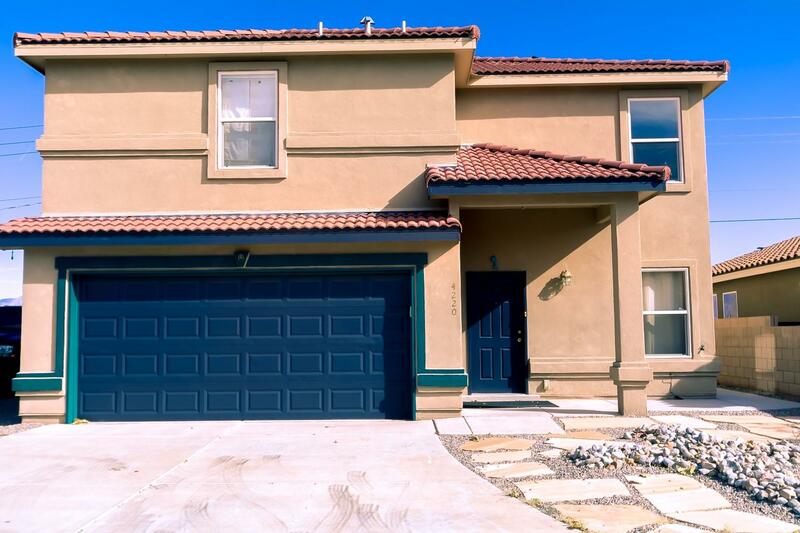 A move-in-ready home in a location close to shopping, restaurants & freeway access, all just waiting for you!